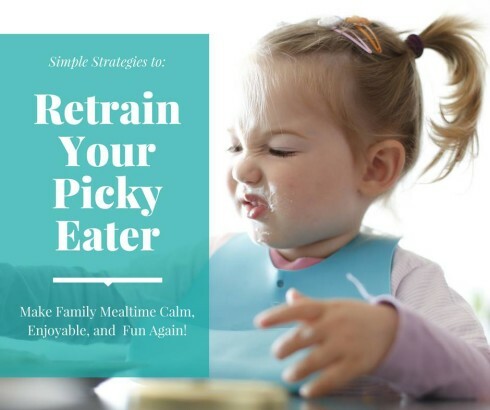 My son is three, and he’s a (mostly) Reformed Picky Eater. I’ll tell you his story later, in case you’re interested, but first I have to tell you why my approach is different than others. I read all the books and all the websites about how to get a child to try new foods and to eat a varied diet. Some of the suggestions worked on some days. Some suggestions made me laugh… and some were downright ridiculous. Since one of my hats is as a health and wellness coach, I have explored many different ways to help people change their habits. Let’s face it, most people do not want to “fail” at every lifestyle improvement they try, but they do anyway. There’s more going on than just setting a goal and then taking steps to achieve it. I decided that toddlers probably aren’t extremely different than adults in the respect that their decisions and interpretations of life are fueled more by their past experiences and their views of the world, than by conscious rational thought. Ultimately, I did implement things based on what we know about toddlers too. You often have to put a new food in front of them dozens of times before they’ll try it (unless it meets some inadvertent criteria they’ve set like… red food is yummy and green food is yucky). They tend to like carbs more than other macronutrients. And crunchy is King! Allowing kids to pick out the foods they want to eat (at the grocery store) is a good idea. Letting them help prepare it is even better. Explaining health concepts in age-appropriate ways is also helpful. Making food fun is a great idea too, but if you’re like me, you don’t always have time to shape lunch into butterflies and rainbows. Serving raw veg while preparing a meal is a good way to get them to eat more sometimes… when they’re hungry. In addition to all of those methods (and more), I also wanted to brainwash my son to bypass some of the effort. I used information I know about theta brain waves, affirmations, energy meridians, and falling asleep to help me craft a shortcut to healthy eating for Evan. I do think using a combination of tools was helpful and important, but I am certain my passive (on his part) effort to help him be more open-minded about food was what made this happen faster and with NO fighting or tears. I documented the entire process to date, and I’m going to share it in my wellness group on fb over the next couple months. I’m still working on this, even though we’ve made HUGE strides. E still won’t eat things like beef stew or avocado, but he’s eating WAY more than the three foods he ate for most of last year! Would you like to follow along? After I document all of this, I am going to put it into a book and sell it, so if you want the no-cost version, tune in now! See you there, my Friends!